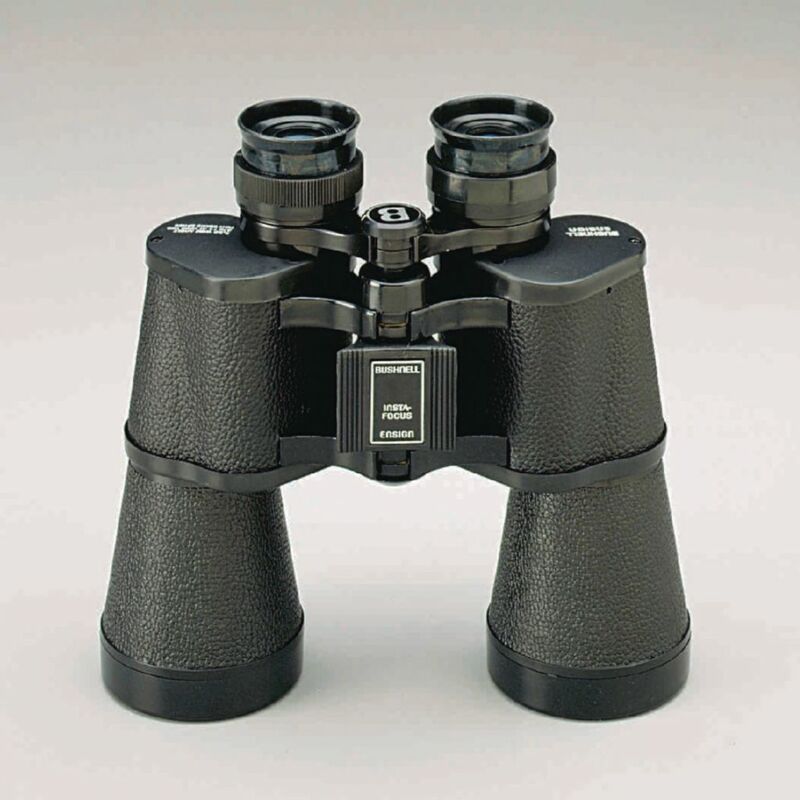 These binoculars have large-aperture lenses for gathering more light. With light-grabbing 50 mm (2") lenses and 10x magnification, these binoculars offer a good balance of image resolution and field of view: 341' at 1000 yards. A case and 32¾" neck strap are included. The binoculars weigh 25 oz. each, and the exit pupil is 5 mm (3/16").